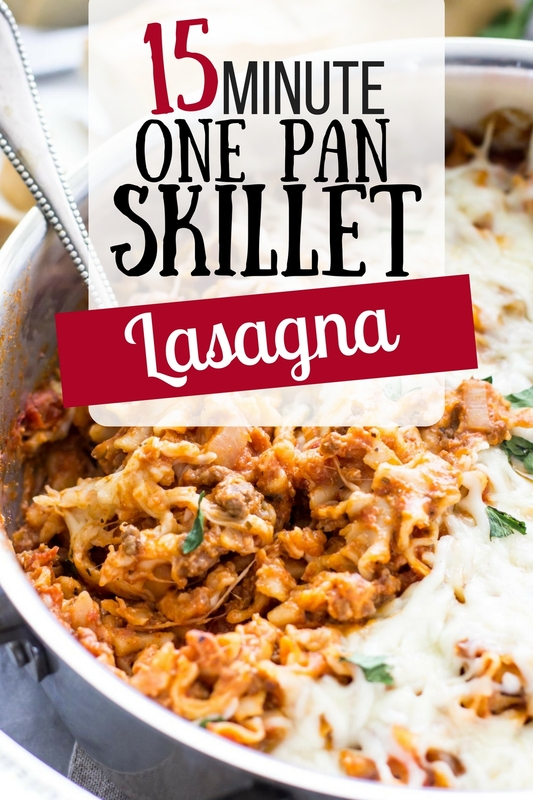 This 15 minute one pot lasagna be made on the stovetop — no need for separate prep bowls, no layering, and no oven! 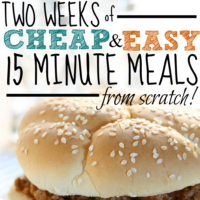 This meal is fast, easy, and sure to be a hit with your whole family! Hello again! 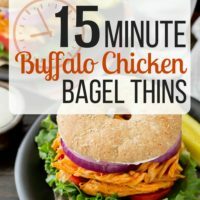 Are you ready for another quick and simple 15-minute recipe? How about one that’s made from scratch and without a pile of processed ingredients? Well you’re in luck because that’s exactly what I have for you today. Since it’s pretty cold outside, I kept things nice and cozy with a hearty, warm-you-to-your-toes dish, a 15-minute one pot lasagna. May I just stress that this lasagna is so easy?! 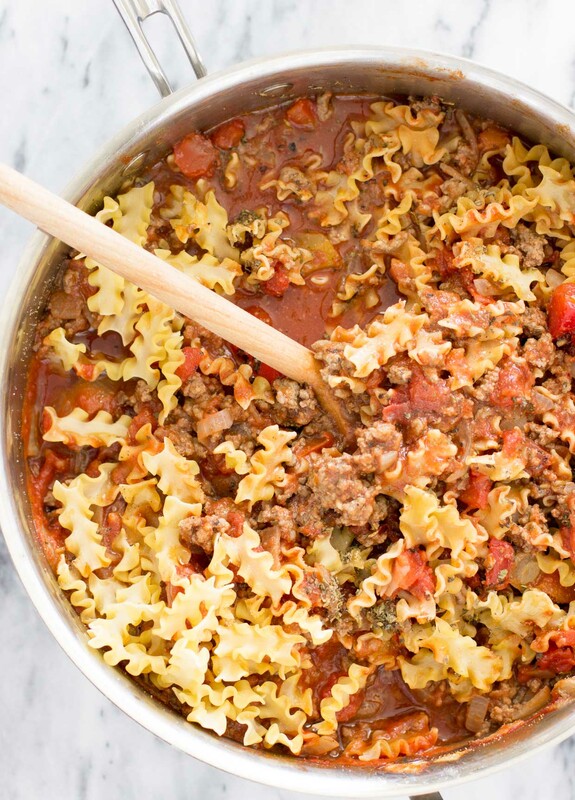 There’s no layering, no mixing of eggs and ricotta (and… whatever else) in separate bowls and dirtying a whole pile of dishes — everything goes into (you guessed it) one pot, even the noodles do not need to be boiled separately. 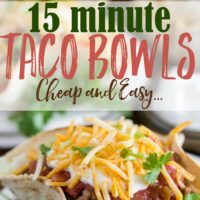 Let me add the fact that, when all’s said and done, this meal comes out to a cost of less than $1.50 a serving (assuming you already have the spices in your pantry)! So, if you’ve got 15 minutes to spare right now, let’s get started! 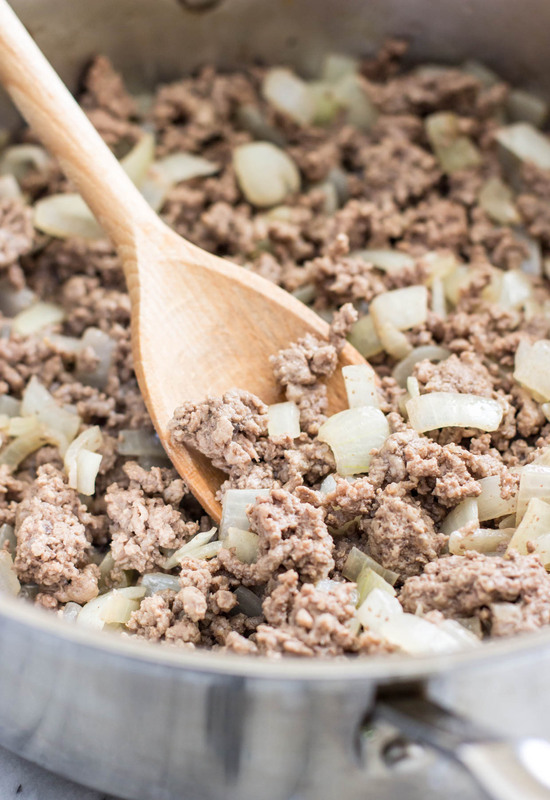 As usual, the first step is to warm up some olive oil, toss in the ground beef and onions, and cook until the beef is evenly browned and the onions are beginning to turn soft and translucent. Right about now your kitchen should already be smelling pretty fantastic. Remember I said there’s no pre-boiling the noodles? That’s one of my favorite things about this recipe. 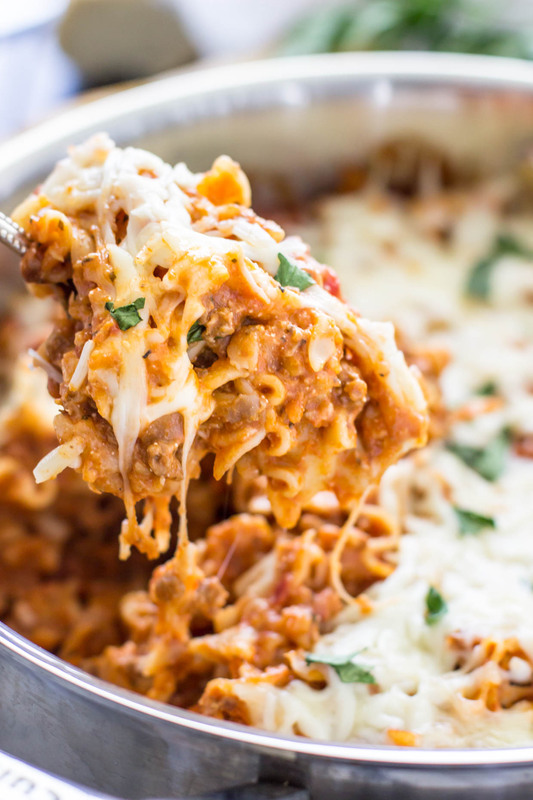 To help keep things simple here we’re not doing any layering and we’re using noodles much smaller than your standard lasagna strip — they cook right in the sauce! 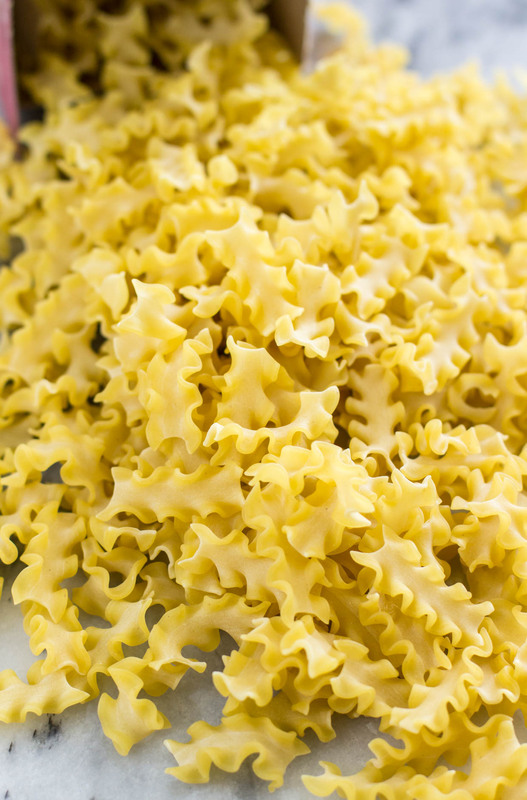 I used mafalda here, which is a type of pasta that looks like little lasagna noodles, but if you can’t find mafalda you can substitute three cups of any pasta that you happen to have on hand (rotini or bow ties would work particularly well). Next, add everything else (except the cheeses). No layering and no pre-cooking the pasta, everything goes into the pot except the cheese. Stir it up really well and bring to a boil. Reduce the heat so it’s just simmering (bubbling just a little), and cook 10 minutes until the pasta is cooked all the way through. Then, add your mozzarella cheese and ricotta (if using, it depends on if your family members like ricotta or not; not everyone in my household likes it), stir until melted, and then top everything off with an even layer of mozzarella, just because it makes it seem a little more like your classic, work-intensive, layered lasagna. Top with parsley if you’d like to be fancy ;). And that’s all! 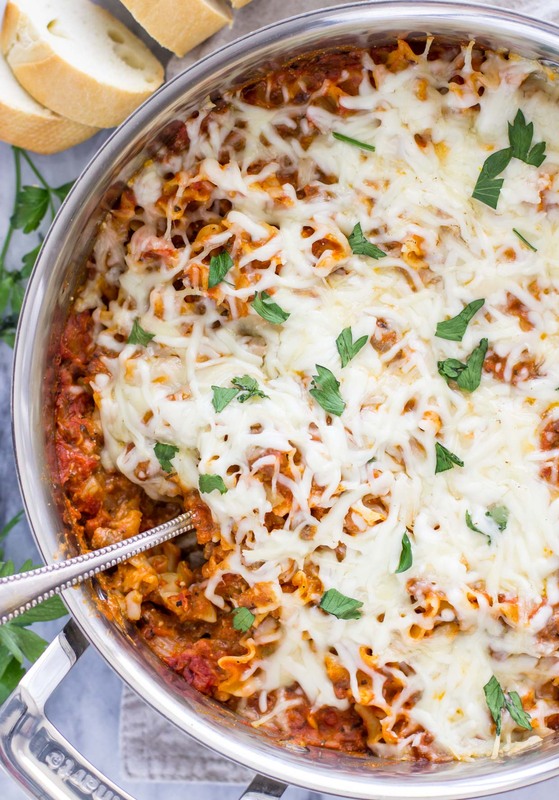 This 15 minute lasagna is filling and flavorful, cheesy and wholesome, and no one will believe you if you tell them this dish only took you 15 minutes from start to finish! 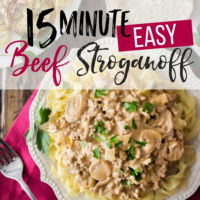 Serve with garlic bread and a side salad and enjoy! Oh boy, exactly planned to have lasagnas today. Thank you for saving my time 🙂 Have a pleasant weekend ! I have a serious pasta problem and this would definitely feed it. It looks sooo good and easy to make. Thanks for sharing your recipe with us at Merry Monday this week! Thank you making me want to cook!